Just going to check how many days this has been running since a reboot… Photo by peaceful-jp-scenery on Flickr. A selection of 12 links for you. Free at the point of use. I’m charlesarthur on Twitter. Observations and links welcome. Offering more details on the anticipated accessory, an AppleInsider source said that Apple’s stylus will connect via Bluetooth, and that it will feature pressure-sensitive input. The screen itself will also reportedly sense pressure from fingertips, as Apple is said to be planning to bring its Force Touch input to the 12.9-inch iPad. AppleInsider was first to report in February that Apple’s next-generation iPhone, referred to colloquially as the “iPhone 6s,” will also feature the Force Touch input that is currently available on the Apple Watch and latest MacBooks. The source also said that Apple’s new, larger iPad will also feature a USB-C input, though they didn’t indicate whether it would be a new, second port option, or if USB-C would replace the Lightning connector found on current iPads. Now this sounds like a real hybrid between the new MacBook and old iPad. But when? WWDC in June? We know that some of you are addicted to your SD cards, but the reality is that expandable storage is quickly becoming an unnecessary feature, because that storage is being shifted to the cloud. Google has an amazing array of products in the cloud, and most of them reduce your need for large amounts of storage on your device. Music can now be stored and streamed from the newly released Google Music, documents from Google Docs, photos from Picasa, and more and more video comes through YouTube (although before YouTube really makes this leap, Google needs to add device syncing, so you can start a movie on a PC and continue on mobile or vice-versa.) Given all of these services, the vast majority of users won’t need more than 16 GB of storage. And, before you all start crying, please remember that many of you in our readership are not the “majority of users”. OK, and now the date: this was written in November 2011. Things change slowly in Androidland. It hadn’t crossed my mind how useful the taptic engine would be for someone who is deafblind – but of course, it’s a prime accessibility element. Watt sounds like a fantastic, inspirational person. Her viewpoint really makes one reconsider how useful so many devices are.. or are not. 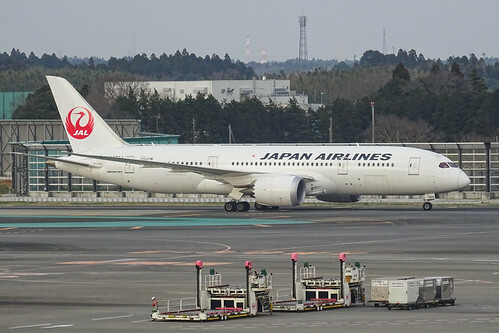 A software vulnerability in Boeing’s new 787 Dreamliner jet has the potential to cause pilots to lose control of the aircraft, possibly in mid-flight, Federal Aviation Administration officials warned airlines recently. …The memo doesn’t provide additional details about the underlying software bug. Informed speculation suggests it’s a signed 32-bit integer overflow that is triggered after 231 centiseconds (i.e. 248.55 days) of continuous operation. I’m no handyman, and I’m certainly not a locksmith. But as a newish homeowner — and one who delights in tinkering with smart home gear of all stripes — I’ve gotten pretty adept at some things around the house. One of which is changing out locks. In fact, the first thing I did when the previous owners handed us the keys was toss them in the trash. Then I pulled out a Phillips head screwdriver and installed some Kwikset SmartKey locks, so one key would open all my various entries. Seems like no particular benefit, and lots more hassle than just putting a new lock. The picture quality and 3D effects remain stunning. The imagery (we still don’t really know if it’s true holograms, and I still assume it’s just stereoscopic imagery instead) is bright, the resolution seems sufficient, and the opacity of the image meant that it could substantially occlude things behind it. Everything about the HoloLens experience is nailed. Except for one thing. The field of view was narrow. Very narrow. In both the horizontal and the vertical directions. You have this glorious 3D augmented reality experience… but only with your eyes looking straight ahead. And it’s not just me; I talked to other journalists who’d been at the January preview, and they had the same experience. The January prototypes didn’t fill your entire field of view. The edges of the “screen” were visible. But they weren’t this tight. I could look around a bit and still see the holograms. This time around, I couldn’t. I don’t know why. It’s possible that there are trade-offs being made to ensure performance is acceptable or that there’s enough peripheral vision even if the entire screen is obscured. It’s possible that my experience with the old device gave a wider field of view than it should have, due to the poor fit of the device; it was pressed close to my glasses, so probably seemed a little larger than it should have. how the watch looks on your wrist is not the most important way it affects your style. The most significant change in your appearance is that you spend less time holding your iPhone in front of your face. That gauche, phone-zombie stance is fast becoming the pose that defines this decade. Appraising the functionality of the phone is not my remit – I’m all about Is It Cool; Do We Want One? – but the fact that it steers you away from looking at your phone will have an impact on how you look. Looking at your own wrist is different to looking at a standalone black box, partly because looking at a watch has a history that predates the digital era. You can’t write emails or tweets on the watch (there’s no keyboard) but you can read your inbox, send dictated or emoji responses to messages, even answer phone calls, all without getting your phone out of your bag. What’s more – and this was the most exciting part, for me – the watch distanced me from that modern comfort-blanket thing of endlessly twiddling with your phone. Boom. And she has a view on the fashion thing too. Q: When will the chart cover the whole of the Earth’s surface? A: A completely finished chart will probably never happen, because new things are always being discovered that can be mapped. However, over the next two months, we hope to render the entire Baltic Sea. Two months after that, we hope to have the whole of the North Sea rendered. The remaining oceans are planned to follow at similar intervals. However, it still wouldn’t be complete because we then need to add all the navigation aids. These will be collected by community members and then entered into the OpenStreetMap database. You are cordially invited to join in and help! We need every little contribution. Love the idea. Dunno how practical it is. Then again, I thought OpenStreetMap was too ambitious, and that’s done pretty well. With Android phones, the apps you use regularly will remain in RAM, while unused apps will be removed. It looks like the issue is that the Galaxy S6 and S6 Edge are having trouble clearing the RAM, causing it to fill up. Thankfully Samsung appears to be aware of the bug and is working on a number of ‘micro-updates’ to solve the problem. Samsung Mobile UK posted on Facebook: “Micro-updates are in the process of being rolled out to correct issues relating to device performance and stability… Keep checking for these on your device via Settings > About device > Software update > Update now”. 2) I began following this story at AndroidBeat, which cites the “source” as TechRadar, which cites TalkAndroid, which cites Android Community, which cites Phone Arena, which picked it up (before the Samsung response, which is why I’ve quoted TechRadar) on XDA forums. Why not just go back to the original source and build on that? This model of “journalism” (it isn’t) leads to Chinese whispers and errors. 3) Dunno if this counts as a “major” problem. Nor whether Samsung’s Facebook comment is actually related to this problem. I couldn’t find it. In a draft plan for a “digital single market” encompassing everything from online shopping to telecoms regulation, the commission said it would probe how online platforms list search results and how they use customer data. The latest draft of the plan, seen by the FT, will be approved by the commission next week. The plan could also bring in stricter rules for video-on-demand services such as Netflix and messaging apps like WhatsApp and Skype that have become big rivals to traditional European media and telecoms companies. Companies such as Airbnb and Uber are also likely to be roped into any investigation into platforms, which will aim to determine whether they are abusing their market power in the so-called “sharing economy”. Seems premature to be asking whether Airbnb and Uber are “abusing their market power”. How much market, how much power? Africa has a population of one billion, accounting for 15% of the world population. Most important is that the number of cell phone users has exceed 200 million; even during the 2009 financial crisis, the growth rate hit 14.8%. Nigeria, with the biggest population in Africa, currently has the most cell phone users, accounting for 16% of total users on the continent, followed by Egypt and South Africa. In the next five years, the most obvious growth will focused in Central and East Africa, among which growth in Ethiopia, Congo, Eritrea and Madagascar is expected to exceed 100%. The African smartphone market jumped 108% in 2014, Yan said, adding that Huawei’s shipment ranked No 2, just behind Samsung. Last year, Huawei devices soared more than 300% in the Middle East and Africa, followed by Asia and Latin America, 98%, and European 68%. No mention of volume. BlackBerry is big in South Africa, but might have a problem soon. Originally Google had said people would pay $1 to $3 a month to check out participating sites without ads. At that point The Onion, Mashable, WikiHow, Urban Dictionary, ScienceDaily and photo-sharing site Imgur were among the initial publishers on board. Now Google claims that “millions of sites – everything from small blogs to large news sites” have signed on to not serve ads to Contributor subscribers. However, as the pricing tiers describe, people who pay Contributor’s monthly fee will still see ads on participating publishers’ sites. A Google spokeswoman didn’t respond to an emailed question asking why not all ads would be blocked. “We’re continuing to test Contributor and recently added some new testers from the waitlist. We’re happy with the trial so far but don’t have details to share,” the Google spokeswoman said in an emailed response. This entry was posted in links and tagged adblock, google, opendata, sd, smartlocks, storage, usher by charlesarthur. Bookmark the permalink.